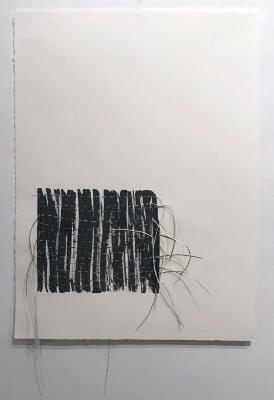 Hannah Israel, We, Sumi ink on cut paper, 23 in X 29 in, 2015. 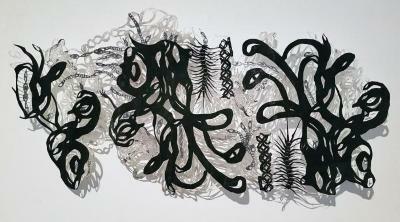 Hannah Israel, You, Sumi ink and watercolor on cut paper, 26 in X 30 in, 2015. 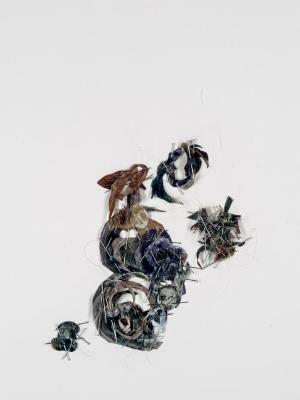 Gahae Park, Music Painting in Blue, Ink on cut paper, 14 in X 14 in, 2001. 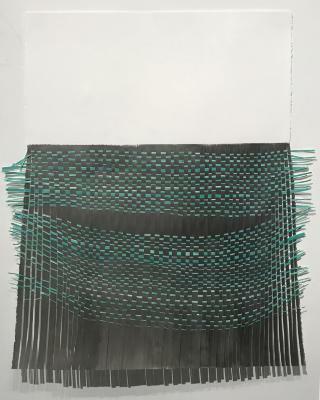 Jaanika Peerna, Drooplines, graphite and colored pencil on mylar, 24 in X 6 in, 2016. 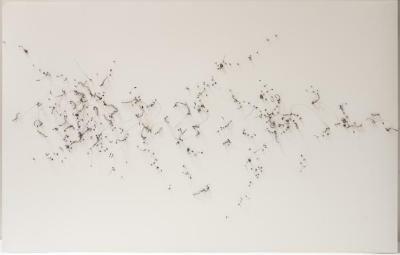 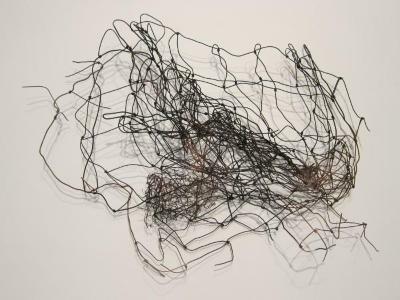 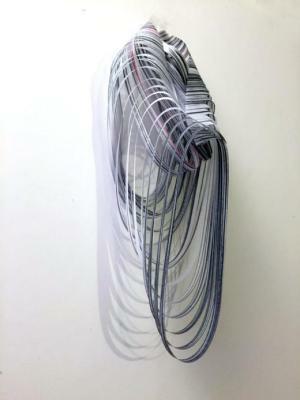 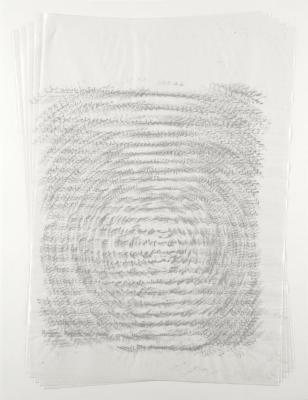 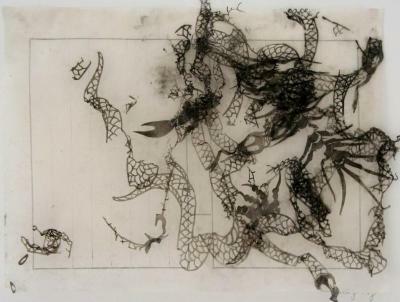 Gelah Penn, Polyglot #18, Graphite, acrylic, monofilament, plastic on yupo, 19 in X 9 in, 2014. 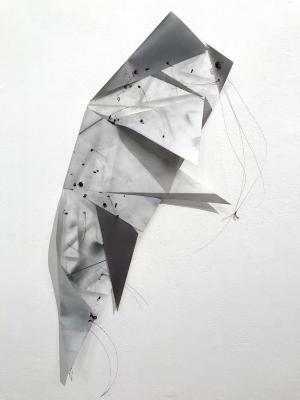 Gelah Penn, Polyglot #20, Graphite, acrylic, monofilament, plastic on yupo, 16 in X 12.5 in, 2014. 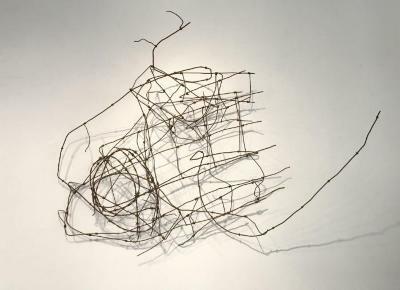 Gelah Penn, Polyglot #19, Graphite, acrylic, monofilament, plastic on yupo, 18 in X 16 in, 2014. 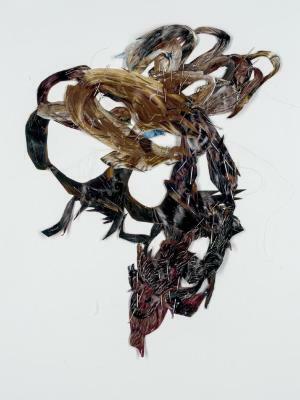 Gelah Penn, Blackfil #3, Monofilament, plastic on yupo, 26 in X 40 in, 2014. 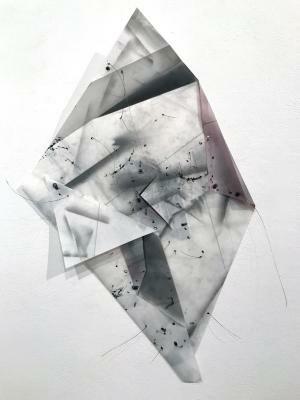 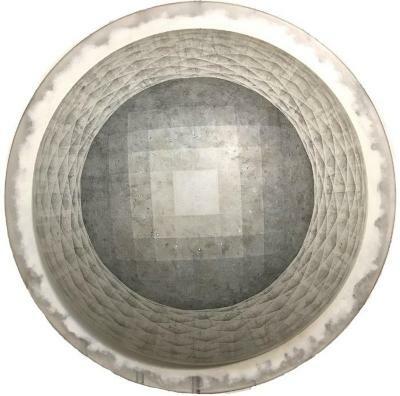 Carol Prusa, Unrepresentable, Silverpoint and graphite on half dome, 14 in X 14 in, 2013. 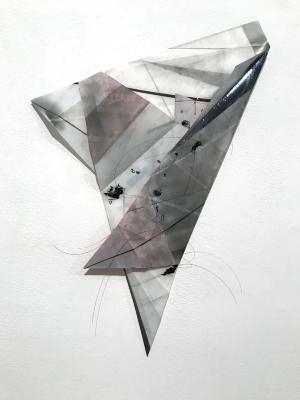 Mary Ting, Poison Page 2, Cut paper, wax, printed page, 9.5 in X 12.5 in, 2014.